Everybody enjoys experiencing their new home or their new office for the first time. Even if it is in a worse location the novelty is what makes it so pleasurable. While this may be true, we doubt that anybody likes actually moving the entirety of their home or business inventory. 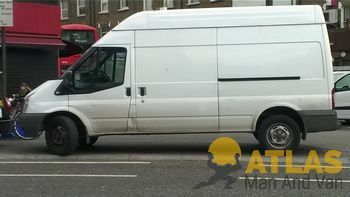 Luckily, you can always take advantage of our excellent Man and Van services in Chiswick. For many years now we have managed to offer one of the best quality of service in the entire industry to our countless happy clients. Relocations in general are a demanding and responsible job, which few people are actually fit to do on a professional scale. The amount of different aspects that factor in the equation for a perfect removal are nearly infinite and to hope to even stand the slightest of chance of performing adequately you need to devote a lot of thought and effort. We always make sure that each of them are up to par so we can provide our clients with our much praised service. We have properly licensed packers and movers, which are the best in Chiswick. It takes years of dedication and some talent to reach the skills they currently possess each and every one of them has undergone initial screening to analyze their capabilities and motivations. What usually follows, even for those with ample previous experience, is a rough training process that lets them uphold our policy of perfection and our impeccable reputation. This leads up to them being the friendliest, yet most professional crew around capable of all sorts of fundamentally different moving and moving-related services. Finally, our vehicles are our pride and joy. Our loutons and lorries are all brand new, state of the art models that are carefully maintained. They are operated by seasoned drivers, familiar with W4 and capable of reaching any location within it with minimal to no delays. As we mentioned before our competences extend to various different relocation solutions as well. Take our junk removal services for example. They are an easy way to get rid of any sizeable waste at your home and ensure that it gets disposed of properly or recycled, thus conserving the safety of the environment. Our service is easy to use and easy to reach. We operate at convenient times: banking holidays and other national holidays included. To take advantage of our services all you need to do is reach us by phone or hire us using our online booking services. We offer a free price quotation. Located just west of central London, Chiswick has always held significant importance as a residential area, as well as a home to many cultural landmarks. Like many other regions of what today constitutes the London metropolitan area, it started out as a small farming community, a dairy to be precise. During the Second World War it was one of the most affected areas of the capitol, being the site where the first V-2 rocket landed. We use only the best packing materials because we care about the safety of your possessions. We maintain a large inventory of shielding products such as wardrobe cartons, hardtop containers, double-walled cardboard boxes, furniture blankets and more. If necessary, we will custom-built wooden crates in order to haul securely your most fragile valuables. Aside of providing high quality man and van services in Chiswick, W4, we also sell packing supplies and deliver them for free. 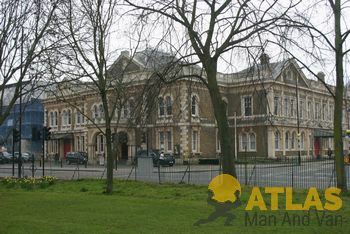 Our company is based in the area of Chiswick, W4, in the London Borough of Hounslow. The area has a population of about 35.000 people and lies at exactly six miles from the intersection of Charing Cross. The Chiswick House is perhaps the most famous landmark of the district. It is a Palladian Villa, which was designed by Lord Burlington and constructed during the first half of the 18th century. The mansion and its garden spread over 26.33 hectares.